Joyce’s Gift Baskets and Country Crafts is one of the favorite places to come for holiday gift baskets in Pennsylvania. From handmade birthday gift baskets to baskets that celebrate Easter, Mother’s Day, Christmas, Valentine’s Day, and more, Joyce’s Gift Baskets and Country crafts carries all of the products you need to give the perfect gift. Whether you’re celebrating a wedding, birthday, baby shower, anniversary, or just looking for something special for someone equally as special, Joyce’s Gift Basket and Country Crafts has the unique and outstanding gift selection to truly make someone’s day. Let us help you find just the perfect gift basket for any occasion. Here are some of the many services and products offered at Joyce’s Gift Baskets and Country Crafts. Holiday gift baskets: Gift baskets are nothing new. However, not all gift baskets are created equal. At Joyce’s Gift Baskets and Country Crafts, we understand how delightful they can be, and we aim to make every single one special. Find the perfect holiday gift basket for every person and every holiday from Christmas to Teacher Appreciation Day and more. We carry a fantastic selection of specialty foods, soy candles, natural body products and more to be used in any gift basket. Birthday gift baskets: Not sure what to get the person who has everything? Can’t decide on the perfect birthday gift for your coworker, your sister, or your best friend? Our gorgeous birthday gift baskets are the ideal solution. Plus, they’re great for any occasion, including weddings, showers, anniversaries, and more. Homemade, natural products: From homemade bubble baths and soaks, to lip balms and soaps, Joyce’s Gift Baskets and Country Crafts carries an amazing selection of exclusive products you won’t find anywhere else. These natural body products make wonderful gifts. 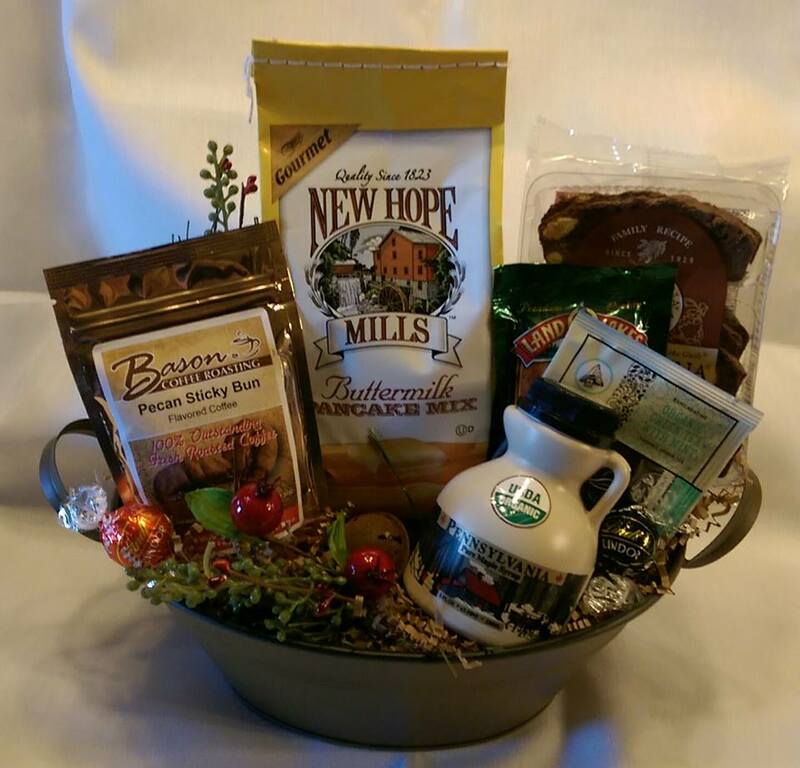 Country crafts in Pennsylvania: Joyce’s Gift Baskets and Country Crafts also carries a variety of unique, handmade items like soy candles. These handmade items are expertly crafted, making for unique items that are sure to stand out. Find gifts for others and yourself among our unique country craft selection. At Joyce’s Gift Baskets and Country Crafts, we take pride in offering amazing and special gifts for all occasions. Stop in today at 696 Duke St., Pennsylvania, to see everything we have to offer and find high quality, one-of-a-kind gifts for everyone in your life.